No school, the main reason why kids love summer. To kids no school means all fun and no learning. As a result, kids often lag trying to get back in the swing of learning when they return to school in the fall. The last thing that kids want to do during the summer is continue learning and as a parent the last thing you want to do is push their buttons about it. Summer however is a great time for some really fun learning! So how do you prevent kids from falling behind during summer vacation? Here are some ways that you can keep kids learning this summer and make it fun. Start a family book club. Some kids won’t enjoy being told to read during the summer. By getting the whole family involved, kids don’t feel like they’re being singled out or forced to read. Reading becomes fun to do instead of torturous. Let the kids pick the books. Kids want to read about what interests them. Involve snacks, crafts, and fun games during book club. The kids will have even more fun and begin to look forward to reading and learning. If the book is a bit advanced for them, read the story as a family and then act it out. 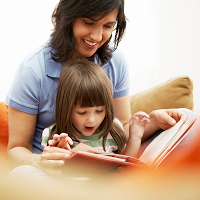 In any case, make sure that your child is getting some interactive time with books! Have fun in the kitchen. Teach your children to use numbers, follow directions, and do tasks in an order by assigning them one night once a week to plan and make dinner with your help. Making dinner will also increase their vocabulary and educate them about healthy eating. Learn a new letter or word. Put a new letter or word on the fridge every week to increase their vocabulary and their ability to count. Have your kids keep track of how many times they use the word or see the word. Practice writing. Every other week have your child write a letter about what they’ve been doing this summer and send it to a relative of their choice. This will improve their writing skills and give them a sense of pride in their work. Help them explore. Provide an opportunity for a hands-on learning experience. Take them to the beach and see how many different shells they can find. Take them to the zoo and have them make observations about the different animals and habitats. No matter what, if they’re making observations, asking questions, or picking up new facts, they’re learning more than they would by spending the afternoon watching their favorite movie again. Go to the library. Kids are more likely to take an interest in reading when they see a lot of colorful books in one place and when they get to pick the book themselves. Maybe they saw an animal they really liked during that trip to the zoo. Take them to the library to learn more about it. Maybe they want to learn more about the ocean. Take them to the library before that trip to the beach. Activities aid and encourage the learning process of kids. What better way to learn than through a fun book! Make a goal. What interests your child the most? Whatever it is, have them make a goal focusing on that interest and help them to complete it by the end of each week. If it’s music, help them learn songs to perform in a concert for the family. If it’s space, have them make a list of things to bring if they were an astronaut. This will not only get them using their brains, but it will also encourage them to get involved with their interests and hobbies. Get their imagination flowing. Pick a specific topic for the week (animals, shapes, food, etc) and tell your child to find something in the house that fits that theme. Tell them to make up a story involving that item in some way. Another take would be to assign them to educate the family with five facts about their weekly item.